That is the conclusion of an international team of researchers lead by Dr. Jochen Hinkel from the Global Climate Forum (GCF) in Berlin and addressed in a paper published today in the journal Nature Climate Change. “Sea-levels may rise substantially above 1 or even 2 meters during the 21stcentury,” explains Dr. Hinkel, and hence an important question is, to what extent are coastal societies able to adapt. 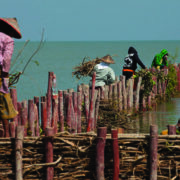 Dr. Hinkel and his team had a closer look in a set of case studies, including Bangladesh, Catalonia, Ho Chi Minh City, The Maldives, New York City and The Netherlands, and found that the ability of coastal societies to adapt is mainly determined by social rather than technical challenges. Generally, engineering technology is available worldwide for protecting coastal societies even against 2 meters of sea-level rise. For densely populated coastal areas and cities this is even economically favourable: protection is much cheaper than doing nothing and suffering damages through coastal floods. 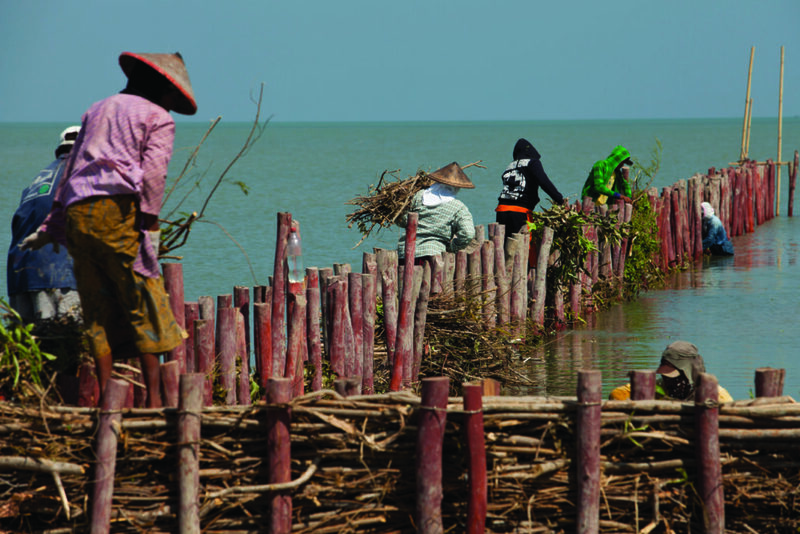 What makes coastal adaptation difficult is the lack of access to finance and conflicts of interests amongst the diverse users of the coastal zone. For example, in Bangladesh, Ho Chi Minh City and New York City it is difficult to mobilize sufficient financial resources for adaptation, even though adaptation is economically favourable. Furthermore, in many cases, the team found conflicts between coastal communities receiving public support for adaptation and those paying for this through taxes. “The core challenge concerning adaptation to sea-level rise is not whether we can technically adapt, but rather how much this will cost, whether societies are willing to finance these costs and are able to settle conflicts amongst homeowners, tourist operators, nature conservatives and risk managers, all of which have different interests in how to further develop the coastal zone.“ says Dr. Hinkel, Lead Author of the forthcoming Special Report of the Intergovernmental Panel on Climate Change (IPCC) on the Ocean and the Cryosphere, which will provide updated sea-level rise projections next year. Given the maturity and widespread use of coastal protection technology, these findings are likely to hold beyond the cases studied here. Coastal societies have a long history of adapting to environmental change and local sea-level rise because coasts are amongst the most dynamic environments on Earth. “For example, a number of coastal mega-cities in river deltas, such as Shanghai, Bangkok, and Tokyo have experienced, and adapted to, a relative sea-level rise of several meters caused by land subsidence during the 20thcentury” adds co-author Robert Nicholls from the University of Southampton. These finding, however, should not be interpreted as an all-clear signal. Less densely populated and poorer regions of the world will not be able to afford coastal protection. Looking beyond 2100, the situation may get much worse the researchers warn. A copy of the article “The ability of societies to adapt to twenty-first-century sea-level rise” by Jochen Hinkel, Jeroen C.J.H. Aerts, Sally Brown, Jose A. Jiménez, Daniel Lincke, Robert J. Nicholls, Paolo Scussolini, Agustín Sanchez-Arcilla, Athanasios Vafeidis and Kwasi Appeaning Addo, published in Nature Climate Change (DOI: 10.1038/s41558-018-0176-z), is available at https://rdcu.be/1OcTor upon request.